We have answered frequently asked questions below. If you do not see the information you are looking for, please contact us so that we may have an opportunity to answer any questions that you may have! Dogs and cats are by far our most common clients but believe it or not, we have also cared for birds, chickens, goats, horses, hedgehogs, rabbits, ferrets, guinea pigs, pot belly pigs, snakes, fish, rats, sugar gliders, hamsters, turtles, iguanas and even geckos! Laura’s Critter Care, LLC was established in 2009 to meet the needs of pet parents who were searching for convenient way to keep their pets happy and give them peace of mind while they were away from home. Caring pet owners know that most pets adjust better to their owner’s absence and experience less anxiety and stress when they can remain in their home environments. Pet sitters make this possible with daily visits to your home. In addition to meals, exercise, playtime, and cleaning litter boxes or cages, professional pet sitters may also administer medications, walk dogs, and perform other pet-care duties. That’s why in-home pet care is the choice of pet owners and the “pet-preferred” method of vacation and travel care. Pet sitters may also provide vital home-care services while you are away, including mail or newspaper pick up, placing trash outside for pickup or rotating the lights and opening or closing the blinds to make your house look lived in. A professional pet sitter provides peace of mind for everyone. People are commonly reluctant to leave their homes unattended for extended periods of time while they travel for business or pleasure. They frequently worry about burglars or vandals invading their home or destroying property or landscaping outside the house while they are gone. Others fret over mail or newspapers not being collected in a timely manner. The presence of a sitter and the absence of uncollected deliveries typically discourage prowlers. A house sitter temporarily does daily visits or lives in a residence that is not theirs to deter intruders and keep the household in shape while the regular occupant is away. The job may last a few days up to several months. They conduct basic duties such as bringing in the mail and newspapers, watering plants, putting out the trash on trash day, rotating lights and blinds, swimming pool check and home security checks. Professional pet and house sitters are just what the description implies—professional. While having friends, family, or neighbors care for your pets and home may seem like a logical choice, professional sitters do this for a living and have the experience necessary to care for your animals. This means that you can trust us to act responsibly when we enter your home. Since this is our job, you can count on us to be there. 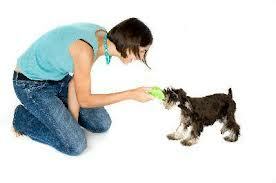 Diet and Exercise – Customary diet and exercise routines are followed, with no interruption to upset your pet. No “Travel Trauma” – Travel in a vehicle to boarding facility or kennel may upset your pet. 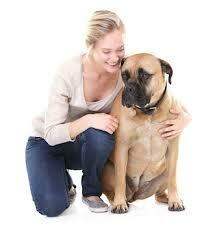 Health Concerns – With a pet sitter, there is minimal exposure to illness of other animals. No Imposition – You don’t have to impose on a friend, neighbor or relative to care for your pet or home, but instead rely on a professional that will put your pet and home’s needs first. Security – Your home is made more secure by the crime deterrent services provided by most sitting services. Peace of Mind – While you’re away, you can feel confident your pet and home is in capable, caring hands. Special Services – Pet sitters can provide additional home services while caring for your pet, such as bringing in the mail and newspaper. 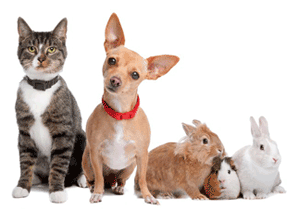 What’s included with a Laura’s Critter Care, LLC visit? Laura’s Critter Care, LLC will take great care to meet all the needs of your pets and home in your absence. All standard visits are 30 minutes long and pets will get their normal feeding routine, fresh water service, daily litter box service for cats and daily yard poop pick up for dogs with yards. We ask that the yard be free of dog poop before you leave and we will keep it that way until you return. Cats will get playtime/social time and dogs will get either a walk or playtime depending on which you specify for us in the routine. For multiple pet families, the routine you specify may take longer than 30 minutes and we do charge extra for the extra time. In addition, our staff will bring in your mail, packages and newspapers, alternate lights and blinds as requested and bring trash cans to/from curb on trash days to give your home that lived in look when you are away. Our policy is that a client’s home should be left as clean or cleaner than when you left and our staff will sweep and/or vacuum around foods bowls, litter boxes and accumulated pet hair on the last day before your return. How many times a day will you visit while we travel or vacation and what times? During our initial consultation we will discuss with you how many visits a day would be best for your pet family. We require a minimum of two visits per day for indoor dogs but recommend three or four. Cats and other pets are generally happy with one visit a day, but never complain about two. For house sitting services we require at least one visit every other day. No, we do not keep any pets in our home (other than our own). We would be happy to refer you to others who do in home boarding or we can recommend quality boarding facilities in the area. Will we meet our actual sitter? YES! You will meet your actual sitter at the initial consultation or prior to the start date. You may meet more than one sitter at this time so that more than one sitter will be familiar with your needs and acquainted with you, your pets and your home. First and foremost, all our pet sitters are animal lovers. However, not only are they animal lovers but animal advocates. They have shared their lives and taken into their homes a variety of pet companions. Many of these pets have come from unfortunate circumstances to find permanent homes with our sitters. We know that true animal lovers, will, out of a genuine concern for the pet, make it a personal priority to make visits, make visits on time and be interested in the overall well-being of the pet. All sitters are required to complete a Laura’s Critter Care, LLC application packet, background check, provide references and are covered under our liability insurance and bonding policies. How do you keep my home secure? The security of your home and pets is our top priority. As a free additional service, we bring in your mail, newspaper, packages, rotate lighting, and take your trash container to the curb on pick up day, giving your home the appearance it is occupied. How can I be sure you’ll remember my visits? We take many steps to insure that the visits you’ve scheduled get done. First, you will receive a confirmation of your visits 3-5 days before you leave, so you know that we have you on the schedule. 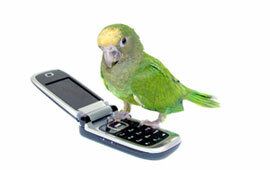 Each pet sitter also receives a daily email reminding them of all visits for the next three days. Each pet sitter checks in and out of their daily visits utilizing a cell phone application for our pet sitting software called Time To Pet. They also keep an appointment book in case they do not have access to their cell phone or computer while they are on visits. Laura and the management team also look at the complete schedule each day so they know who needs visits. A notice does get emailed to the Laura’s Critter Care office should a professional pet sitter not check in to their visit via their telephone application. Finally, any pet sitter who wants to be paid, must complete their daily visits in our pet sitting software system! How will I know that my sitter has made their visit? Trust and accountability are an important part of the pet caregiver/owner relationship. You will receive an e-mail confirmation for your scheduled visits when you schedule and again 24-48 hours before your first scheduled visit. Your primary sitter will check in with you by text or email before you leave. Your sitter will also communicate with you daily while you are away via text or e-mail (whichever you prefer) and send pictures and/or videos of your pets enjoying their time with Laura’s Critter Care. Upon your return, you will find one or all of the following, a Note Card, Report Card, Check Off List with highlights or each day’s events and the specifics about what was done at each visit. What happens if there is an emergency while caring for my pet? When you complete your client profile, we gather contact information, including that of your designated emergency contact. If you are unreachable and your emergency contact is not responding to phone calls, it is our responsibility to seek care for your pet or secure your home. If a vet visit is deemed necessary, we will take your pet to your regular vet. If your regular vet’s office is closed, we will take your pet to a nearby 24-hour emergency veterinary facility. Our rates vary, depending on the time involved and the type of care or service required. We DO NOT charge a certain amount “per pet”. We do charge an additional fee per visit for every 5 pets because there is more care involved and it will require additional time. We can give you an estimate before the initial consultation and will confirm the rate total after the consultation. Our prices start at $20 per visit. The majority of visits are in the $20-$25 range. Additional surcharges may apply for holidays, short notice and/or work in visits, emergency scheduling, etc. We understand that you may need to call or text us late at night or early in the morning in the event of an emergency. While most people graciously include gratuity for such circumstances, we hope you will understand it may be necessary to charge an additional fee for our extra effort. Rates are subject to change but we will always notify you ahead of time. 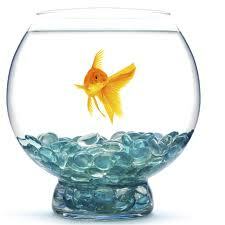 For clients who acquire new pets after the initial consultation, we are happy to come by and meet your new pet! Please understand that a standard visit charge will apply. Payment is expected on or before the first scheduled visit for existing clients. For new clients payment is due in full at your consultations for your first booking. A standard visit lasts for up to 30 minutes with the average being 20-30 minutes. When we have light schedules, we may stay a little longer. We also offer 45-60 minute visits and blocks of time as well as overnights. Please understand that short notice/work in visits may be of shorter duration as we sometimes have to work the visit into our already booked schedule. What happens during a visit when there is inclement weather? On inclement weather days your pet sitter/dog walker will use their best judgment in making modifications to a pet’s routine. In general, for showery/drizzly/snow flurry weather, dogs will get their normal walk time but for moderate/heavy rain or snow a dog’s walk may be substituted for a short potty break and some social/playtime in the house. Your sitter will make every effort to wipe up any mud/water tracked in to the house if proper supplies (paper towels, towels, mop etc…) are readily available, as well as towel drying your pet and wiping its paws. Please leave out supplies on rainy days or note on your profile where they can be found. Are there a minimum number of visits per day while I’m away on vacation? Laura’s Critter Care, LLC values the health and safety of your pets over anything else. We recommend no less than 1 daily visit for cats and other small pets, 2 daily visits for dogs (we recommend 3-4) and at least 3 daily visits for puppies under 6 months within any 24 hour period. We are sorry but we cannot accept appointments for less than the recommended minimum standard of care. Yes, we work 7 days a week 24 hours a day and every holiday! There is no additional charge for weekend visits but holiday visits are subject to an additional $10.00 charge per day on the holiday. We like to have as much notice as possible but we try to accommodate short notices (less than a week) whenever we can. We realize that sometimes our clients are unable to avoid a short notice (emergencies, travel for work, etc.) so we try to do our best to accommodate those needs. Just remember that the sooner you schedule, the better the odds of securing the time you need. 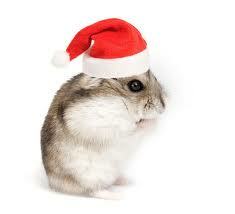 Laura’s Critter Care, LLC Professional Pet Sitters, Dog Walkers and House Sitters are in high demand and book quickly. Yes, Laura’s Critter Care, LCC does overnight stays but overnight stays book up very quickly. We have found over the years that MOST all pets do PERFECTLY fine being left at home, without someone staying overnight. 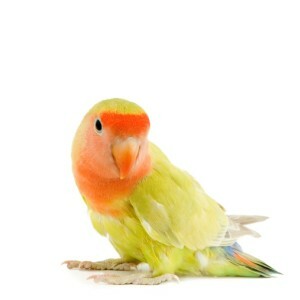 It is actually a VERY rare pet that needs someone to stay overnight. Elderly or ill pets who need to go outside in the middle of the night may need an overnight caretaker but pets without special needs should do absolutely fine on a per visit basis. The most important thing is an established routine. When your pet realizes the sitter is coming when expected and all their needs are being met, they relax and are content. They then associate the special “sleeping buddy” partnership with their owners. Pets who become destructive due to severe separation anxiety from their owners should be evaluated by a veterinarian to see if this issue can be alleviated by medication or training. Pets with this type of disorder are actually very rare. Content pets are always the happiest pets and in many cases, separation anxiety can be effectively treated. 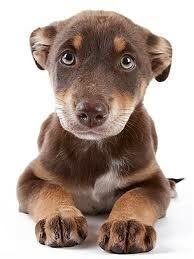 Can you give medications to my pets? 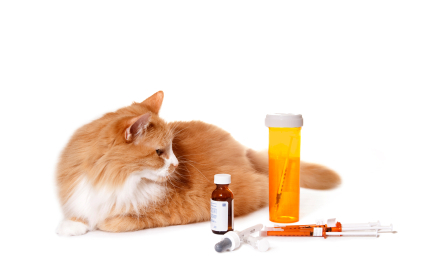 Our pet sitters are skilled in giving medications as needed. We can give oral, liquid, and topical medications, as well as injections (such as insulin). Some of our sitters can also give subcutaneous fluids as well. Many pets do not do well in a kennel type of environment because they are confused and do not know where they are and they worry they have been abandoned by their owner. And the sounds of all the other animals can be stressful to them which can cause behavioral changes that otherwise would not occur (such as soiling, not eating, etc.). There are many reasons why pets have accidents (including medical reasons) but most pets who do not normally have accidents at home will not start having them while you are away. This is very rare. Please note: Excessive soiling due to medical issues or improper training may be subject to additional clean-up fees. We greatly appreciate any gratuity you may include for pets who are prone to accidents or for excessive clean-up. I’ve never handed my keys over to a total stranger. How can I be sure your independent contractors are honest? Lock boxes are a great alternative and preferred. 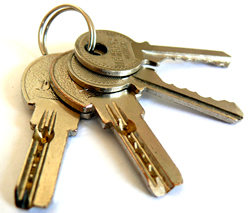 They allow you to keep control of your keys, and run only about $20 at any hardware store. You then just attach it to a doorknob or fence and supply us with the code. Please note that with the removable lock box option, we may not be able to conduct any emergency visits for you unless the lock box is always present. If this is a concern, there are also lock box options that can be permanently mounted outside, in a garage, shed, etc. If you do choose the lock box option, we do still recommend placing 2 keys inside the box in case one is accidentally locked inside your home. If you chose NOT to leave a lock box out then we require two (2) sets of your house keys, one will remain with your professional sitter and the other copy will be on file locked up in the Laura’s Critter Care office. They will not be returned. We hope that once you meet us, you will see that we are honest, dependable, trustworthy people. Because we realize that this isn’t always enough for some people, we are bonded and insured to give you peace of mind. We can also provide a background check if necessary. And we will provide a long list of references and invite you to call each and every one. We are confident in our services and our sitters and know you will be also. Please let us know if you have keyless entry or some sort of special circumstances. Of course! We will provide an initial consultation, free of charge as long as you book services, so that you may get to know us and so that we can meet you and your pets and learn their routine. Pets also like to be “introduced” to new people in their home by their owners. This way, they know we are “okay”. We will get general information at this time including veterinary information, emergency contacts, feeding instructions, medication instructions if required, etc. We will also confirm whether you are using a lock box with your keys or supplying 2 sets of keys to us, and alarm information (if you have one). The initial consultation usually takes 30 minutes or less. Please have all information handy so that we are able to complete the initial consultation within a half hour so that we can stay on schedule for the pets and homes in our care. When is payment due? What form of payment do you accept? Prior to the start of service, you will receive an email confirmation of your requested service to review as well as an invoice. Payment is due on or before the first visit of the service period for existing clients. For new clients payment is due in full for the first booking at your consultation. We accept cash, checks, major credit cards or PayPal. If you would like the convenience of paying with a credit card or PayPal you can do that by logging into your own personalized client portal in our pet sitting software. If I include gratuity in my check, will it go directly to my sitter? Of course! Your sitter will receive 100% of any gratuity that you are kind enough to include. Cash tips can be left at your home for your sitter to get at the first visit. 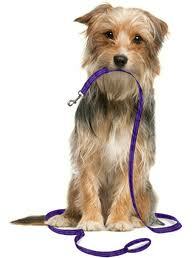 If more than one sitter cares for your pets during the period, the gratuity will be split equally and fairly. Is there a cancellation fee? What if I return home early? A 24 hour notice is required for cancellation of service (for non-holiday reservations). If less than 24 hours notice is given, you will be charged the rate of services scheduled. After cancellation fees, any remaining balance will be applied to future pet sitting services. Once care begins, payment is due for the original dates scheduled. There are no refunds or credits for early returns or last minute changes to pet or home care. Unless otherwise agreed upon ahead of time. What happens if my trip lasts longer than expected? We will continue to care for your pets and home until we have confirmed that you are home, and we will bill you for the extra visits when you have returned. If you are able, please call us to let us know of delays or changes of plans as soon as possible. We aren’t sure if we are going to travel over the holidays. Can you “pencil us in” just in case? Holidays are our busiest time and we often have a “wait list” of people wanting to book us for the holidays. Therefore, we do not schedule anyone for holiday periods unless the dates are confirmed. We do not schedule clients who say “we are going away for Thanksgiving so put us down”. We need actual dates and the number of visits per day and a 50% non-refundable down payment in order to schedule your services. We do not mind watering a couple of plants as part of the normal visit but more than a couple of indoor plants (or any outdoor watering) may be subject to an extra charge. Please be very specific about which plants will or will not need to be watered (as none of us are “plant people” by nature so you have to help us out). Please note: Plants/flowers that attract bees may be excluded for watering as one of our sitters is extremely allergic to bees and can not risk a bee sting. If you have plants and/or flowers that attract bees that may need watering, we ask that you discuss this prior to scheduling watering services. Can you provide service while other visitors will be in the home? For the safety of your pets, home and our sitters, we prefer not to provide services while other persons may be visiting or residing on the property unless prior approval has been made. Our sitters are bonded and insured. A third party entering your home creates a liability and security concern. 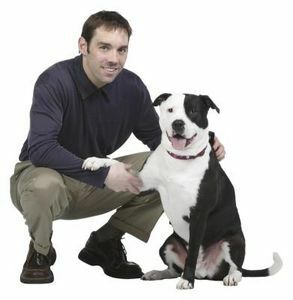 We take the responsibility of caring for your pets and home very seriously. 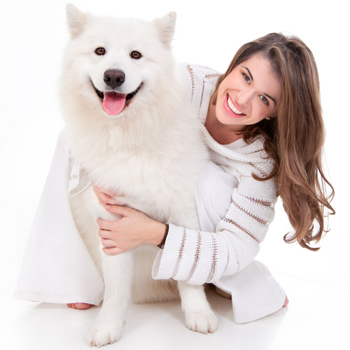 Most pet sitters are able to give your pet basic oral medication, and many can administer insulin injections. Some pet sitters can give subcutaneous fluids as well. If your pet is in failing health, or requires more intensive care, we would suggest boarding your pet at your vet’s office, which can provide 24 hour care. If your pet gets very destructive in your absence, or suffers from severe separation anxiety, he or she may be better off at a boarding kennel around other animals and people.